This week has been mad. Along with the usual work stuff, a bit of babysitting Emily’s cousinin Maidstone, Emily has been in a pretty crappy mood and I’ve not been that far behind either. 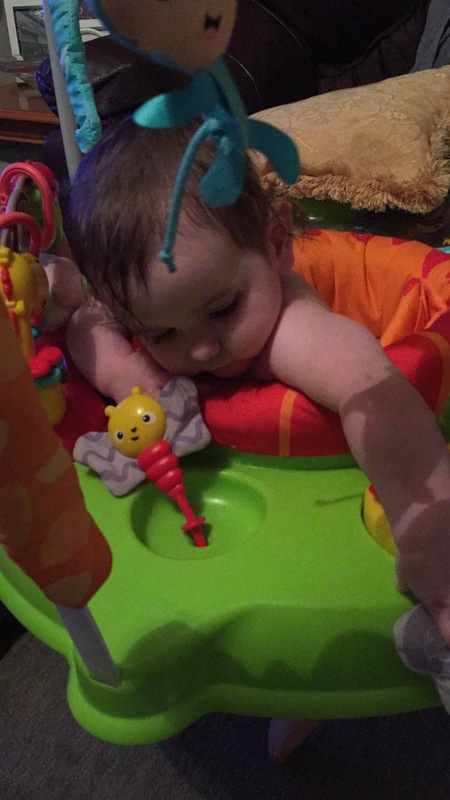 She’s not only teething and suffering from the never-ending growing pains, she’s also really agitated and frustrated that she can’t crawl. Ok, so now she’s got into some routine where she’ll crawl quickly-she’s moved on from the army crawl now, more so when you’re not looking then wondering where the heck she’s gone and she’s now behind the sofa crying because you weren’t quick enough to find her. She’s now eager to master the walk too. With us, we’ll hold her little hands and she’ll wobble walk to her destination, mainly Sam who’s making her giggle before throwing her up in the air, but now she’s crawling, she’ll move to a point, then stick her bum up in the air, stretching out those chubby little legs ﻿of hers, keen to do a Usain Bolt and run off to her next adventure. And because of all these frustrations, she’s been etchy. The tired, grumpy, moody, agitated and upset 8 month old that shows similar personality traits to a teenager. 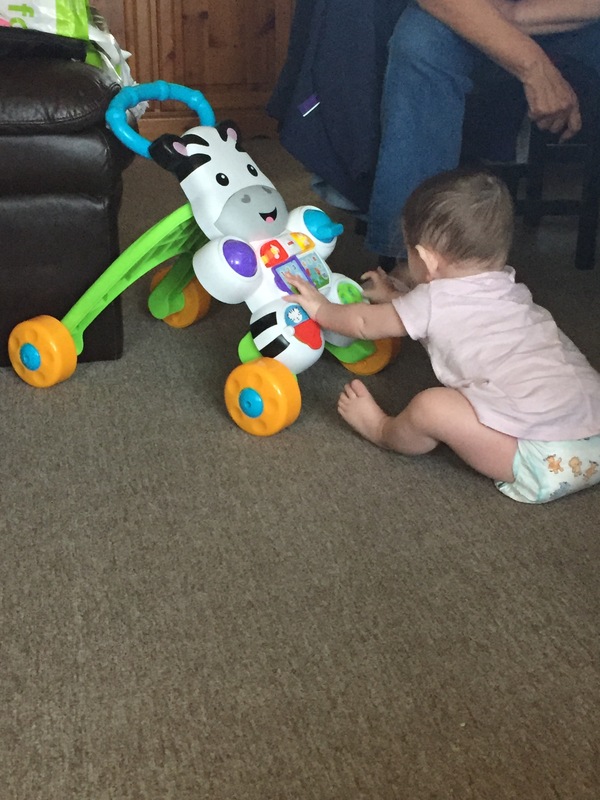 Hopefully with the help of the baby walker I bought a few days back, she’ll be ok. She’s not so sure of it right now, but once she starts zooming around with that, I’ll definitely need eyes at the back of my head. We’ve all been tired, tetchy and agitated. Work has been quiet (it’s that time of the year in my industry), yet clients are still demanding, Emily is all over the place, I’ve just changed my pill which wasn’t making me feel good and Sam is working hard at work in London. We really can’t wait for our holiday to just start. Just 2 and a half weeks to go. Technology will be turned off, left in the hotel room whilst we just get on with our holiday. A whole week in the sun, southern Spain. I really can’t wait. It will be our first holiday together, as a couple and as a family. Just us three. Hopefully the holiday will give us the relaxation, the boost, the chill that we need, so that when we do come back, we’re all refreshed for the rest of the year ahead.